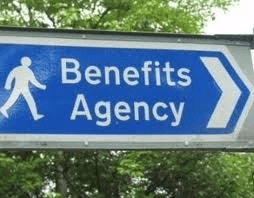 Why do people make benefit appeals? The welfare benefits appeal system is an important yet maybe misunderstood part of the how benefits worked. While my critics may be amazed at hearing me say this, decisions can be wrong for a whole range of reasons and we need an appeals system. I fear many people are not properly supported when they initially apply for benefits, not providing the right or enough evidence and therefore the appeals system is a second and more in-depth chance to be assessed. However I fear that many people are encouraged to appeal simply because they can and their peer support networks as well as uninformed commentators have led them to believe they must qualify for whichever benefits, which is often made worse by a lack of support through their emotional recovery to a level of stability. I further fear the reason many appeals may be successful is that judges have their own prejudices about the human potential and ability of disabled people which affects how they see the case. When we are dealing with human beings which must expect decisions are not perfect and that we ideally need a more fluid service to help get it right. ← If Ms Nicky Clark had her way?